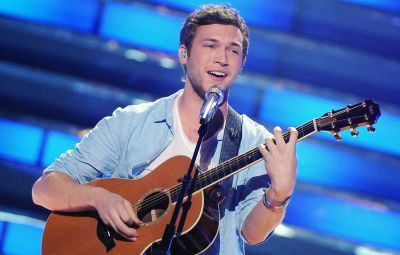 American Idol launched the lucrative career of Phillip Phillips— and now the production company wants the money they say Phillip owes them! 19 Entertainment, which filed for Chapter 11 bankruptcy in April, filed a complaint on Thursday against Phillip, stating that the singer has been holding on to about $1 million of the production company’s money, and that Phillip should have to pay an additional $5 million for breaching the contracts he signed with them. According to the complaint, Phillip has flat-out refused to perform where the company has told him to perform. Phillip’s attorney Howard King responded to the complaint. “19’s new complaint is a blatant attempt to evade California’s jurisdiction and thwart its fundamental public policies crafted to protect artists. 19 cannot murder its parents, then seek mercy as an orphan,” he said in a statement to the website. Many former ‘Idol’ winners, including Phillip, have spoken out about the contracts they were forced to sign to participate on the show. In January 2015, Phillip even filed a petition with the California Labor Commissioner to get out of his contracts with 19 Entertainment. Phillip claimed that the company forced him into accept unwanted post-show jobs, perform for free for ‘Idol’ sponsors, and that they even kept him in the dark on important things such as the name of his own album. Before a decision could be reached in terms of Phillip’s petition to cut ties with the production company, 19 Entertainment filed for bankruptcy. Shortly afterward, according to THR, the Labor Commissioner stated he was closing the book on Phillip’s petition.